American Dubai was on the Derby trail early in 2016 and has blossomed at the current Sunland Park meet as a 4 year old. Bred by Mrs. C. Oliver Iselin, the E Dubai colt has won 4 straight at Sunland including the $150,000 Sunland Park Handicap Easter weekend. Here’s the recap from the Daily Racing Form. American Dubai won his fourth consecutive race Sunday when he darted home by four lengths over Neck ‘n Neck in the $150,000 Sunland Park Handicap. The race was one of two stakes on the card. 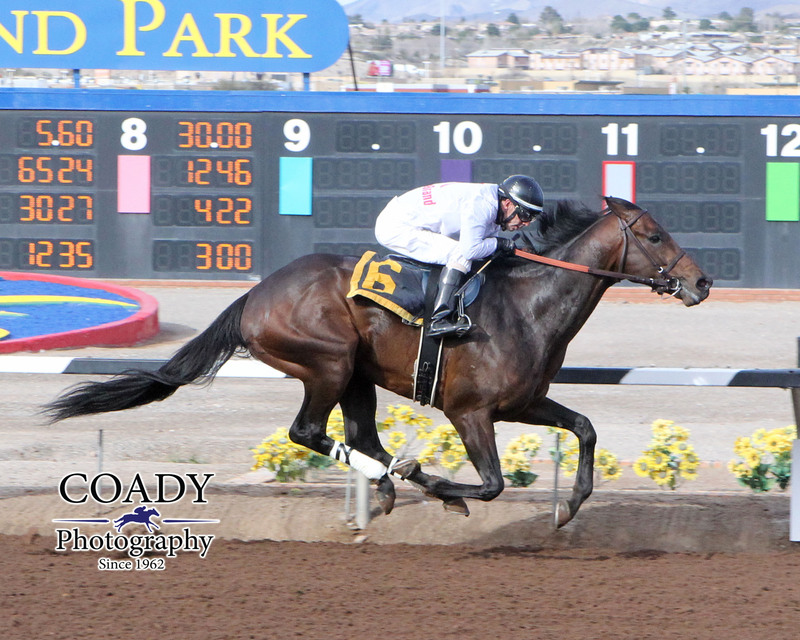 On the Low Down won his maiden in the $110,000 Copper Top Futurity. American Dubai ($6) broke last in the Sunland Park Handicap, but recovered and attended an opening quarter of 22.75 seconds. He proceeded to put up fractions of 46.68 for the half-mile and 1:10.68 for six furlongs. American Dubai increased his advantage through the stretch while covering the 1 1/8 miles on a fast track in 1:47.44, not far off the track record of 1:47.37. Ken Tohill was aboard the winner for trainer Rodney Richards. American Dubai’s streak has been built over the course of the Sunland meet. He won an optional $10,000 claiming route Feb. 14, then accounted for an optional $25,000 claiming route in track-record time March 7, covering a mile in 1:34.50. American Dubai won at the same level one start later, on March 26. American Dubai, captured his first race of 2017 Feb. 14 at Sunland. Photo courtesy of Coady Photography. 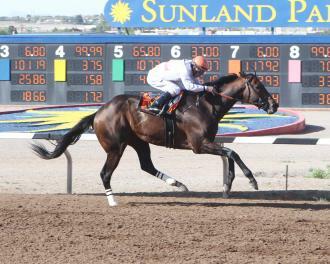 American Dubai earned $90,000 for his win in the Sunland Park Handicap. 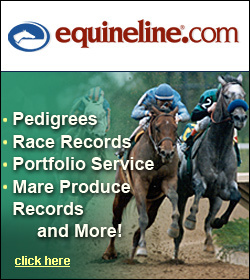 He has now won five career races from 11 starts, for earnings of $244,022. He is a son of E Dubai and races for Richard Keith. The Sunland Park Handicap was the first career stakes win for American Dubai. Horses trained by Todd Fincher accounted for the exacta in the $110,000 Copper Top Futurity, when On the Low Down won by 1 1/4 lengths over Red Raider. The 4 1/2-furlong race was for 2-year-olds bred in New Mexico. On the Low Down covered the distance in 51.17 seconds. Tracy Hebert rode the winner for Dale Taylor, Bobby McQueen, and Suzanne Kirby. On the Low Down is a son of Dome. He won his maiden in the Copper Top, which marked his second career start. He has now earned $75, 556.